Harald tipped me about GOOD magazine. I'm curious about it, so I'm going to check out the website when I have finished all my upcoming deadlines. Do you know this magazine? The photo above was taken a while ago. It's king oyster mushrooms from Den blinde ku (the blind cow). Here is a similar photo. yes, that is steep for a magazine. usually they cost between $7 - $9 here. 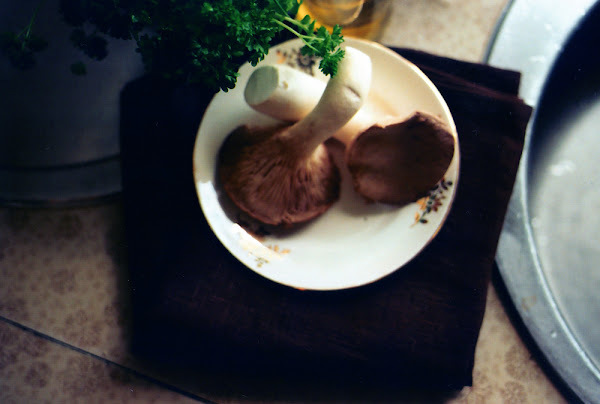 i really like that mushroom photo. there are mushrooms on the cover of donna hay this month too.